HScott Motorsports with Justin Marks (HSMJM) entered this weekend’s UNOH 100 at Richmond International Raceway looking to get back to the winner’s circle. Rain moved into the area just prior to the completion of NASCAR K&N Pro Series East (NKNPSE) qualifying, so the field was set by the rule book. Heckert entered the UNOH 100 looking to rebound from an unfortunate incident at VIR that saw him finish outside the top 10. Heckert looked poised to capture the Coors Light pole award for the event, sitting atop the board prior to the rain setting in. When qualifying was canceled, Heckert rolled off second due to points. As the race began, Heckert settled into the third position, until a restart on lap 26 saw him move into the lead for two laps. Heckert settled back into second and slipped slightly in the race’s closing laps to bring home a fourth-place finish. Heckert remains second in the NKNPSE Driver Point Standings heading into Dover, trailing teammate William Byron by 13 points. The UNOH 100 can be seen on NBCSN on Thursday, September 17 at 7:00 p.m. EDT. 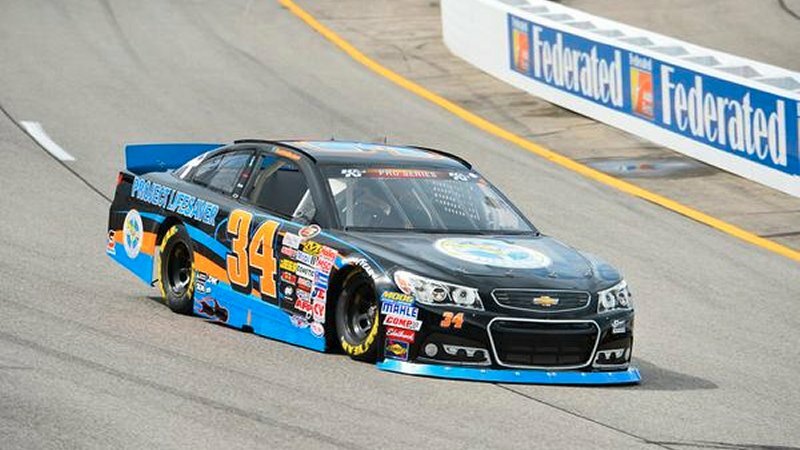 The final race of 2015 for the NKNPSE takes place on Friday, October 2nd at Dover International Speedway.